John Geiger has made quite a name for himself in sneaker culture by being the creative force behind some of the best custom sneakers. A lot of his popular customs have been the result of him teaming up with The Shoe Surgeon, and now they have created a sneaker that has a more powerful meaning than most. 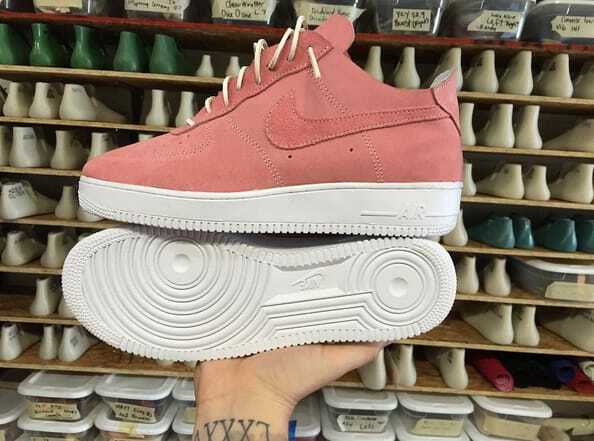 Geiger took to Instagram today to share a photo of his custom Breast Cancer Awareness Month Nike Air Force 1 lows. This sneaker comes in perfect timing with October being Breast Cancer Awareness month, and uses a pink deconstructed ultra suede upper, white sole, and what appear to be off-white laces. Big brands have been creating pink sneakers for years now, and it&apos;s cool to see customizers now contributing to raising awareness for the cause.